Surelife - Fascia/Soffits/Guttering, Roofer, Windows/Doors/Conservatories based in Calf Heath, West Midlands. 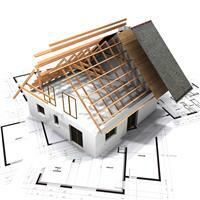 Over 27 years’ experience in the roofing industry including UPvc Fascia, Guttering etc. FLAT ROOF CONVERTED INTO PITCH ROOF. Epdm rubber roof, the fitters need a certificate of training. I have passed the training course and I am qualified to fit. Work areas - Wolverhampton, Dudley, Cannock, Burntwood, Tamworth, Derby & all Staffordshire & West Midlands.